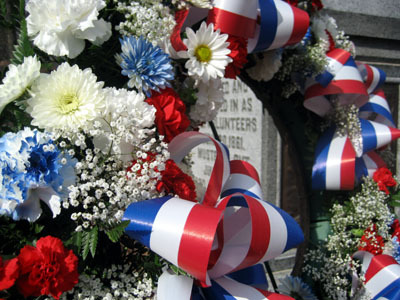 One of the traditions of Remembrance Day is to put wreaths on the battlefield monuments. I took this picture at one of the New York memorials and I love how you can see just a little of the writing on the monument through the center of the wreath. The picture is perfect eye candy. Somber, but lovely. Great picture for this weekend! Nice gesture and photo. Have a great weekend! What a beautiful tradition. Thanks for sharing. Nice photo. Enjoy the sunny weather this weekend. That’s lovely – thanks for reminding me about Remembrance Day. I thank you and all at this time of year. For those of us who religiously remain Puritan, you are proof of the New Republic. There are so few of my kin, that would now recognize you all as mine were it possible. May the Force Be with You. I was wondering if you’d be interested in helping out with a new site I’m trying to get up and running- Craftacular.com. It is a wiki, which means that anyone can edit any page that hasn’t been locked. I’m hoping that it will become a great repository of the collected wisdom of all the crafters online. Tutorials, patterns, solutions to common problems, etc. Anything you can add would be really appreciated. I hope you had a great Thanksgiving!